A landlord was ordered to pay her problem tenant after a botched eviction. The landlord inherited the tenant from the previous property owner, who did not obtain a written tenancy agreement, but rather allowed the tenant to rent month to month. 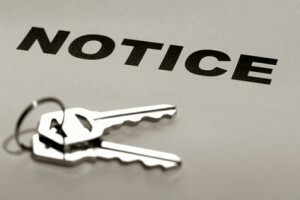 The tenant has been in the property for more than eight and a half years. The tenant asked the current landlord for permission to have her daughter move in, on the condition that she would only remain for a couple of months. The landlord gave verbal consent without specifying a time-frame, and did not ask the daughter to sign a tenancy agreement. The daughter has remained on the property for over seven months. During that time, she has kept a dog, despite the fact that the posted tenancy rules prohibit pets. The landlord received complaints from other tenants about the dog defecating on their yards, and the daughter trespassing on the yards with the dog. There were also allegations that other tenants’ gardens were damaged or that flowers and tomatoes were taken. When the landlord approached the daughter to discuss the matter, the daughter became verbally abusive and the landlord could make no progress in resolving the problem. The landlord filed her Notice to End the Tenancy for Cause and the case went before the Residential Tenancy Branch in British Columbia. At the hearing a few weeks ago, the tenant denied that her daughter or the dog had been a nuisance, and further claimed that she contacted each of the neighbours personally to find out who complained. The tenant said that only one other resident possibly could have complained. She described that woman as elderly, forgetful, and in need of medication. The tenant told the adjudicator that she obtained written statements from each of the other residents to bolster her claim. However, it is not clear that the tenant actually produced these statements. Instead, the adjudicator determined that it is not up to the tenant to disprove the nuisance claim, but rather it is the burden of the landlord to show, on a balance of probabilities, that grounds exist to end the tenancy. “This means that if the Landlord’s evidence is contradicted by the Tenant, the Landlord will generally need to provide additional, corroborating evidence to satisfy the burden of proof,” according to the adjudicator. The landlord did not have documentary evidence of the complaint against the tenant. She claimed that she did not want to disclose the identity of those complainants or the particulars that might identify them. As a result of the lack of documentation, the adjudicator found insufficient evidence to conclude that the tenant’s daughter had disturbed other residents, and dismissed the eviction notice. The tenant was ordered to deduct the cost of her filing fee from the next month’s rent. The adjudicator also determined that the daughter was not a tenant, but rather an “occupant”, and therefore she has neither rights nor responsibilities under the verbal tenancy agreement.